Analysis: The US president’s recognition of Israel’s capital can be seen as a test for the Palestinians: If they respond with violence, Trump may say the Israelis were right and there is apparently no partner; but if they exercise maturity and accept Trump’s peace plan, Netanyahu will have a problem. 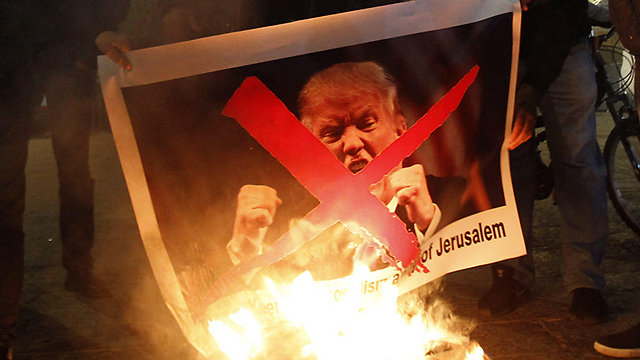 US President Donald Trump’s recognition of Jerusalem as Israel's capital is, without a doubt, a historic declaration. 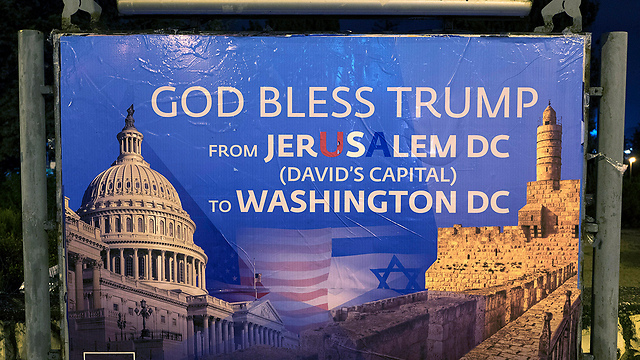 It’s no wonder that in a region which sanctifies symbols, Israel’s leaders went out of their way to embrace Trump and bombarded Twitter and Facebook with personal pathos-filled posts. Culture Minister Miri Regev even went as far as saying that Trump’s name would forever be imprinted on the Western Wall stones, while Justice Minister Ayelet Shaked compared Trump to Cyrus the Great. It’s hard to shake the feeling that Trump fooled everyone and that this is sort of fake news. His decision was first and foremost the result of internal political considerations and pressure from the Republican Party and Evangelical circles. Trump wants to avoid being attacked again for signing the waiver to postpone the American embassy’s relocation every six months, which essentially vetoes the implementation of a law passed by Congress that recognized Israel as Jerusalem’s capital. After signing the waiver for the first time in June, Trump was concerned that his rivals in the Republican Party would keep attacking him every six months for violating his election promise to move the embassy to Jerusalem once again. So he started thinking of creative solution: How to sign the waiver on the one hand, yet receive the Israeli government’s applause and keep the peace process going on the other hand. 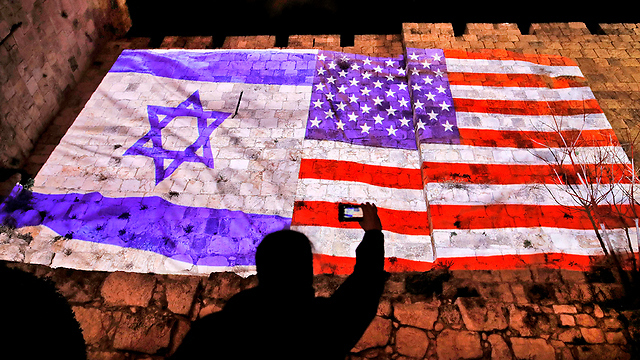 The crafty solution was a simple one: Recognizing Jerusalem without moving the embassy. A senior White House official said in a press briefing, a day before Trump’s announcement, that it would take three to four years to build the new American embassy in Jerusalem. In other words, Trump would have to sign the waiver eight more times, but won’t be condemned again thanks to his declaration. He has simply bought time for himself. Moreover, it’s quite possible that once that period is over, Trump will not longer be in the White House and his promise to move the embassy to Jerusalem won’t be implemented. Just like Trump reversed former President Barack Obama’s legacy, the next president would be able to renounce Trump’s legacy. By the way, the Republican Party’s transition team already examined different sites in Jerusalem and could have presented a proper plan for the embassy’s location. Had Trump wanted to, he could have even shown plans. 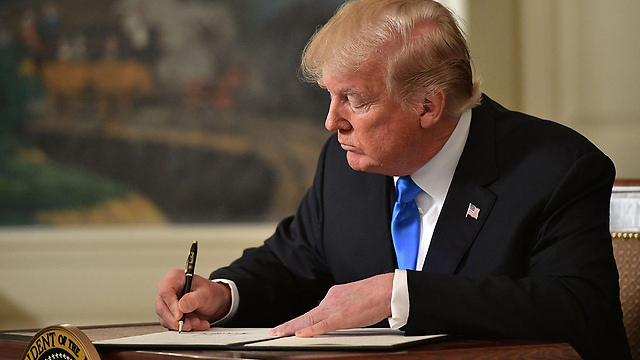 The Palestinians received further compensation in Trump’s statement that his declaration does not refer to the permanent agreement and to the borders of Jerusalem’s sovereignty in the permanent agreement. Those questions are up to the parties involved, the president said. On the other hand, Trump dealt the Palestinians another blow by completely ignoring and failing to mention their aspiration to turn east Jerusalem into the capital of the future Palestinian state. Trump also avoided saying that Jerusalem would remain Israel’s united capital, leaving a certain window for its future division. The question is what good would Trump’s declaration do if it sets the region on fire and makes the Palestinians reject the American peace initiative and stop seeing the US as a decent mediator. It’s possible Trump reached the conclusion that Abbas is a rejectionst and that there is no choice but to show him that if his rejectionism continues, he will keep paying prices, like the declaration recognizing Jerusalem as Israel’s capital. A second option is that Trump has a surprise in store: He is offering Israel a major gesture in preparation for the ultimate deal he is planning, which would require painful concessions from Israel. After his announcement and Miri Regev’s promise that Trump’s name would be imprinted on the Western Wall stones, no one in the Israeli Right would dare declare Trump an anti-Israel president if he were to submit a peace plan in the near future that would force Israel to make many concessions. Netanyahu was likely the first person to identify the brilliance in Trump’s move, when he told government sources that once Trump presents his peace deal he would not be able to turn it down. 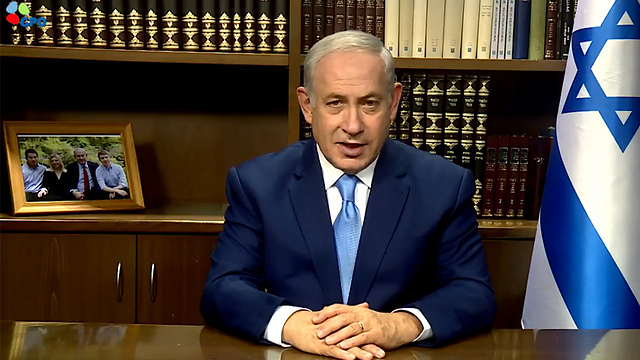 Netanyahu and his coalition partners are therefore warmly embracing Trump’s declaration—even though some of them are admitting in closed forums that it’s a bluff—because they are thinking or hoping that the Palestinians would see the declaration as an excuse to stop playing by the rules, and then Israel wouldn’t be accused of rejectionism. 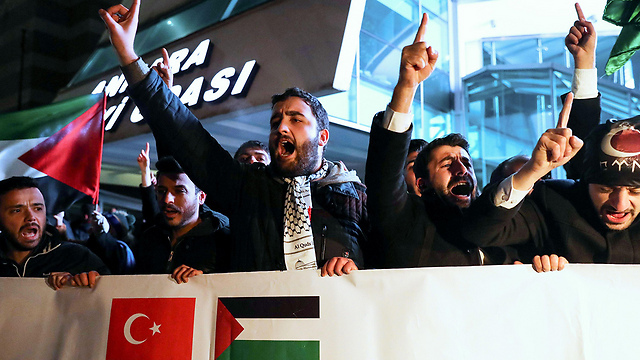 President Trump prepared for this possibility as well, calling on the parties “to respond to disagreement with reasoned debate—not violence.” In other words, Trump’s declaration is also a sort of test for the Palestinians. If they respond with violence, as expected, Trump may say to himself that the Israelis were right and that there is apparently no one to talk to. If they swallow the humiliation, exercise maturity and accept Trump’s peace plan, Netanyahu would have a problem.